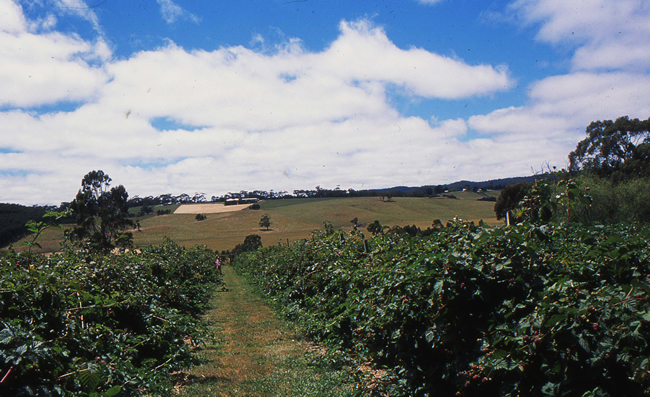 Pennyroyal Valley in Victoria’s Western District was well known as a berry growing area from late 1800′s to post World War 2 with old steam train tracks set along the valley floors for the fruit to be transported by train to Geelong. Mike and Katrine Juleff have lived in the region since 1987 and twelve years ago took over the 7.8ha Pennyroyal Raspberry Farm which is the oldest operating berry farm in the district. Katrine explains, “I was in commercial food preparation and catering and Mike is an environmental consultant. We have around 1.5ha devoted to berries – we expanded the plantings of raspberries and introduced Jostaberries, gooseberries and red, black and white currants, along with loganberries, marionberries, brambleberries, youngberries, boysenberries and strawberries. We also planted more than 300 heritage apple tress that are beginning to produce cider. The Juleffs farm organically and work on producing healthy plants which means no need to spray. 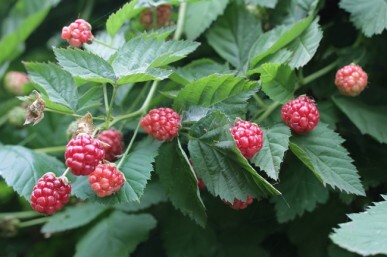 They lose a small amount of fruit to birds and have also worked hard on their pruning and watering regimes having at least halved the watering rate with mulches and root zone watering. 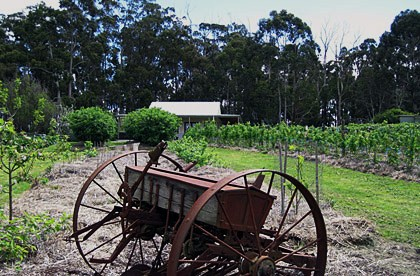 “We also grow vegetables that are all destined for the Teahouse – the intent since day one being paddock to plate direct. Where we can’t grow it, we get it from very close by and have done for over 10 years. 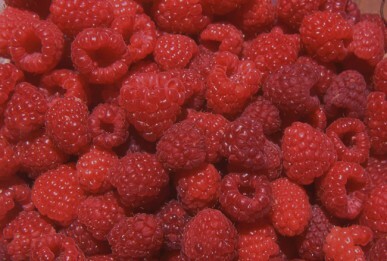 Even the pure cream we use in the berry ice cream comes direct from Colac. We also make a range of preserves, a speciality is our Jostaberry Relish – fantastic with a slice of triple cream brie from Timboon! – and our Raspberry Vinegar cordial made from an old fashioned colonial recipe. Our products are made from all natural materials and we do not use any synthetic pectin in our jams. Also, look for our own farm honey – the berry flower honey in particular is a lovely, light gold – better than clover honey we think!